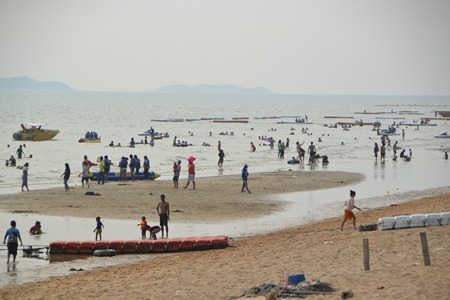 The water wars are over and Pattaya’s beaches are starting to fill again. 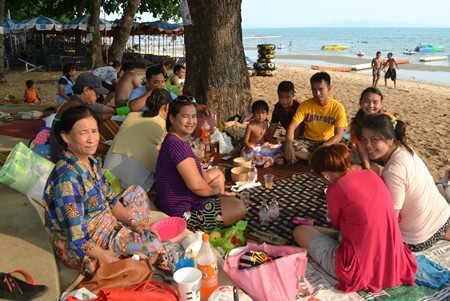 Back from their Songkran overseas escape, local expats and long-term tourists returned to their deckchairs on Jomtien Beach, joined by Thais visiting the sea to cool off and enjoy the five-day Labor Day-Coronation Day holiday break. 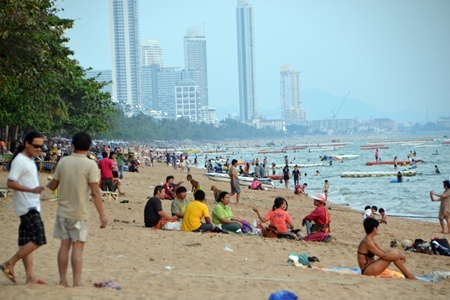 Temperatures have been hovering around 40 degrees Celsius and are forecast to remain so through the early weeks of May. It makes for ideal beach weather, many sun worshippers said. 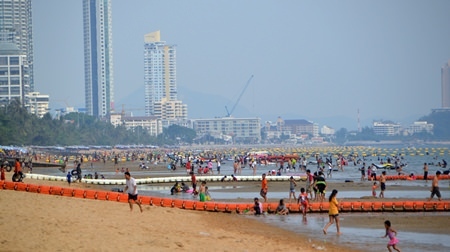 Sun worshippers have returned to local beaches now that Songkran is over. Many said they’ve not gotten used to the reorganized beach chairs and Wednesday’s “return to nature”. Mostly it is being seen as a success. 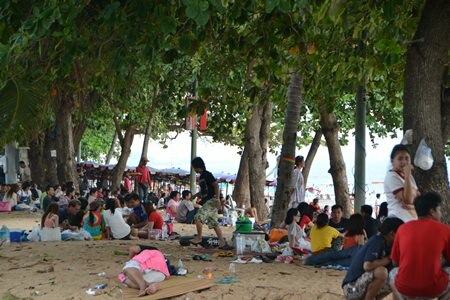 Vendors were looking forward to brisk business May 1-5, as the government granted workers an extra holiday on the Monday between the weekend and Coronation Day.